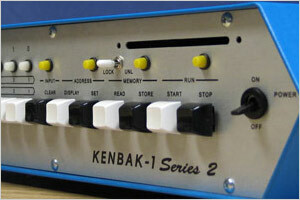 What's with all the cheap MiniDisc players lately? In the photo you can see a grouping of MiniDisc players that I've found over the last 6-9 months. All of them work, and all were $5 or less at various Chicago thrift stores, showing that regular folks never really knew what MiniDisc was - one of these units was actually tucked away in the toy department! Mini-Disc is an audio format that seemed to catch on everywhere except here in the US. The diminutive 2" disc-cartridge was introduced in 1992 alongside the ill-fated Philips DCC tape format as a way to create digital recordings without investing in DAT. The problem was that MD was touted as a CD replacement - the first couple years saw many pre-recorded albums released to the format. The smart move would have been to position MD as a cassette replacement instead, emphasizing the affordable recording possibilities - imagine crisp digital quality on your mix tapes... er... discs! Sony had more than a decade and a half to try to get MiniDisc to catch on the US. 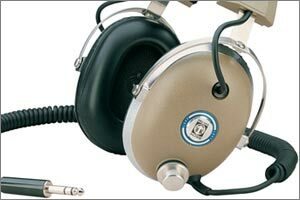 Lots of fans like me liked it as an affordable and versatile field recording medium (MD was hugely popular among covert concert tapers). 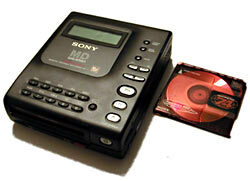 The players were a quarter the size of a Discman, and in 2000 Sony expanded the MD spec to allow for several hours of music to fit on a disc. 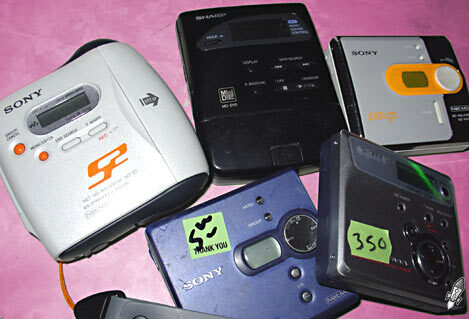 These efforts still weren't enough as the MP3 onslaught flooded the market with devices that were even smaller, held far more music, and didn't have the draconian restrictions that Sony's later generations of MD introduced. Much to everyone's surprise, in 2004 Sony introduced a high-band MD that can record uncompressed audio, play back MP3's without cumbersome conversions, and offer 34 hours of music on a single 1 gig disc costing about $10. All of this effort just wasn't enough to make much of a dent. It took fifteen years for Sony to finally make MiniDisc all the things we'd been yearning for it to be since 1992, and that's a mighty long time to wait. I guess that I should appreciate that they tried to popularize the format for so long (Sony has a rich tradition of hanging on to its own kooky formats), but they've finally decided to just position Hi-MD as a specialty format for recordists. It seems as if availability is shifting from mainstream stores to resale shops (!) in my neighborhood, so at least I can keep MD alive in my corner of the world for just a few measly bucks.